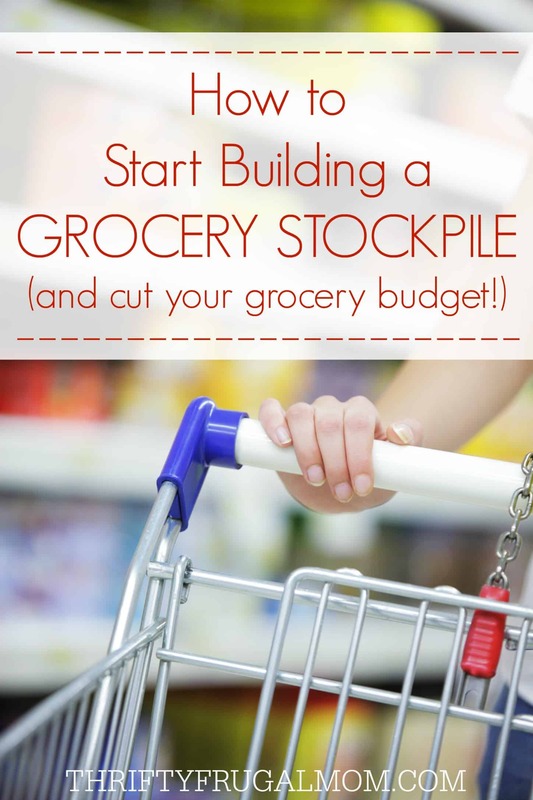 Learn how to stockpile food on a budget! Stockpiling allows us to have a $200/mo. grocery budget and can save you money too! These tips will help you get started with your own stockpile. So, you’re convinced that stockpiling saves money, but now you want to know how to get that stockpile started in the first place, especially if your grocery budget is already so tight you can barely eek by. Well this, my friends, is the million dollar question! I actually started building my grocery stockpile 6 years ago soon after I first discovered the wonderful world of saving money by couponing. Since it’s been so long ago, my memory is a bit faulty as to just how things went when I first got started. (Can I get by with blaming the poor memory on having 4 children in 6 years?) However, I do know that our grocery budget didn’t have much wiggle room in it at the time and I remember that initially, the savings from stockpiling were quite small. But based on what I remember and what has worked for friends, here’s what I’d recommend doing if you are wanting to start building a grocery stockpile. Start Slow & Small The temptation is to dive in head first and start buying lots of stuff to get your stockpile started. But, especially if your budget is tight already, it’s best to start by setting aside just $5 to $10 a week to buy things for your stockpile. Then, be sure to make that $5 to $10 count and use it to buy only things that are really good prices that you also are sure you’ll definitely use. If you don’t see anything that fits the bill that week, then just skip it and save the money to buy extra the next week. Initially, you likely won’t see much savings at all. But the beauty of stockpiling is that as you continue to slowly do it, you’ll start creating more and more wiggle room in your budget and after several months time, the savings start to really show! My first month only saved me around $50 from our usual grocery bill and I was ready to throw in the towel. What I didn’t understand was that the stockpiling method requires time for a savings snowball effect to take place. Here’s why. Stockpiling saves you money because it enables you to buy items at rock bottom prices and stock up on them. As a result, this saves you from having to pay full price for the item the next time you need it. In turn, this gradually saves you money and as you continue to build your stockpile you’ll find that eventually you rarely have to pay full price for anything because you were able to get it when it was on sale and add it to your stockpile. And so while the initial savings is gradual, as you continue to stockpile, the savings grow considerably. And so I kept at it, and my second month the savings increased to $200-250! Be Prepared to Invest Some Time If you don’t mind minimal savings, building a grocery stockpile doesn’t have to take a lot of extra time- you can simply just watch for good deals as you do your regular grocery shopping. But, by doing only that, you won’t save nearly as much as you would if you invest a bit of extra time into researching and planning your trips. I’ll cover the specifics in a future post, but here are a few of the basics. Scan the store’s sales flyer before you go and look for any rock bottom sale prices. Visit a deal blog and see if there are any coupons that you can match-up with the things you want to purchase. Consider shopping at more than one store so that you can get the best deals from each one. – This one is the absolute easiest to use…you just scan your receipt and that’s it. 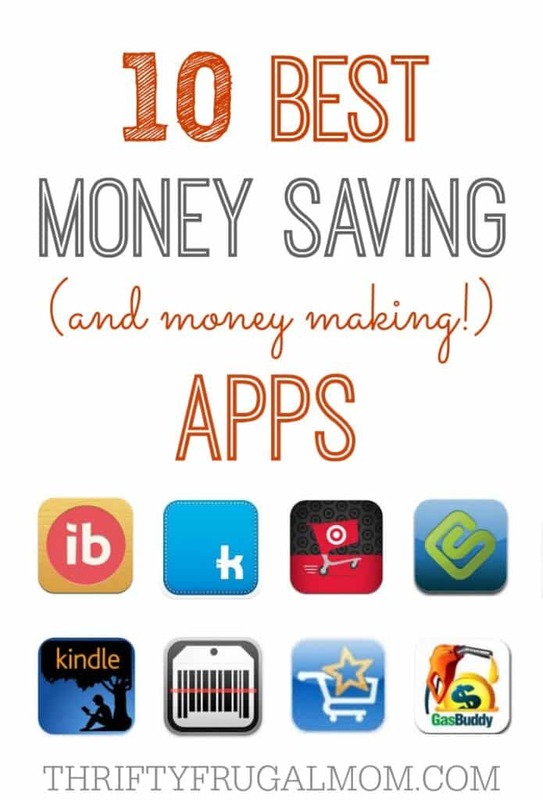 I’ve only used it for a couple of weeks and I already have earned $9 in Amazon gift cards! Designate a Spot for Storing Your Stockpile Obviously, if you are going to have extra groceries in your house, you are going to need somewhere to put them all! Figure out ahead of time where you will put your stockpile. If you live in a small house it might be easy to get discouraged and think you have no extra room, but most of the time, if you get creative you can come up with something. It may mean putting the extra groceries under the bed or clearing some shelves of things you don’t use to make extra space. I’m blessed with a kitchen that has lots of cupboards, which has helped me out immensely when it comes to extra storage. However, we have very little storage space otherwise so it can still be a challenge. A couple of years ago, my husband got the great idea to build a long narrow shelf above the freezer in our basement to put our stockpile on. It made such a big difference in how well I was able to stay organized with my stockpile! Between the kitchen, the basement shelf and a couple of boxes in our basement to store our diaper stockpile, we’ve finally figured out a system that works well for us most of the time. Know When to Stop I love stockpiling and am convinced it’s one of the absolute best and easiest ways to save money on groceries. But I also think it’s important to know when to stop buying stuff and when to say no to a deal. Is it free? If so, then I almost always will buy it because even if I don’t use it, I will most likely be able to donate to someone who can. Do I have money in our budget to buy it? Do I have space to store it? Will I be able to use it before it spoils? I’ve learned to not let expiration dates totally determine how much I purchase because for many foods, you can extend the shelf life of by freezing them. Is it something I regularly use? If it is, then I try to buy enough to last me until I estimate the next sale will be. (Sales typically run on a cycle of anywhere from 4 to 8 weeks.) If it’s an item that I am getting cheap with coupons, then I’ll buy as many as I have coupons for. If it’s not something I regularly use, can I find a use for it anyway? Often I’ll take advantage of an awesome deal on something I might not typically purchase just because it will still save us money in the long run. For instance, several months ago I got about 20 Uncle Ben’s rice in microwaveable pouches for about $0.10 each. I never buy rice that way, but I knew it was cheaper than buying it by the bag. 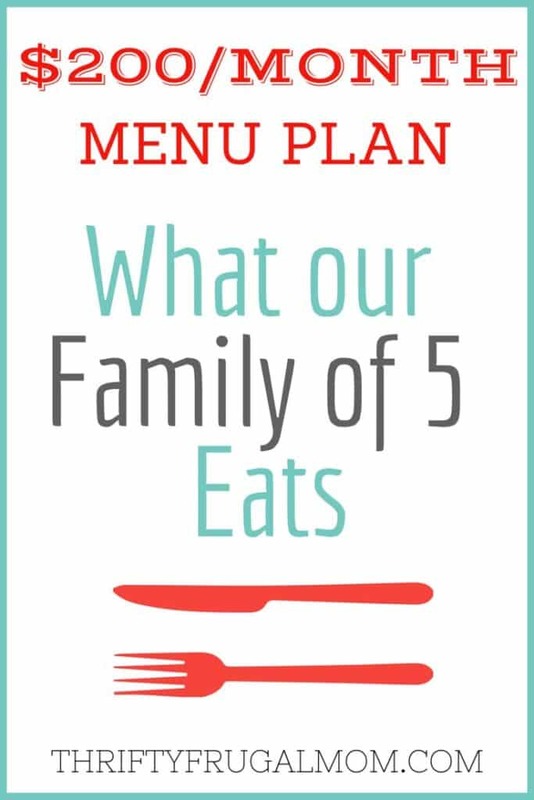 Plus, it was a food that I could easily plan my menu around to feed us inexpensively. So to me it made perfect sense and we just enjoyed lost of rice dishes over the next several weeks! Do you have a grocery stockpile? What tips do you have for building it? All great advice, Lydia! I have a similar post coming on Tuesday, because I've been getting lots of questions about how to start a stockpile as well. Like you, it's been so long since I started stockpiling that I had to really think as I was writing this post. Ha! But also like you, I know maintaining our stockpile is the reason our budget stays so low. There's some really good advice here, and not just because I'm quoted in it. ;) When I started stockpiling, I think I got a little enthusiastic over some staples that we really could use, but then they ended up taking up space for a long time because I had so much of them. It turned out that the weeks after Thanksgiving were a good time to take inventory of my back-stock and donate items that had been around a while that we realistically had a lot of, and might not even use before the expiration. So many places around that time are looking for household and food items. Freeing up that space allowed me to stockpile smarter and fine tune things. Your point about there being some weeks where there are no deals is true and worth remembering, also. This post is organized well for being so comprehensive! Monica, you make such a good point. It can take a while to really figure out what works for you with stockpiling. It can be so easy to get over ambitious! In fact, I think that is what makes some people burn out with couponing and stockpiling- they think they need to do every single deal that they see and forget to be choosy. Thanks for your great input and also for your compliment. I really struggled knowing how to explain it all in a simple way that would make it easy for people to follow and understand, so your words meant a lot! I've been stockpiling for years and due to a change in circumstances I've been taking full advantage of my pantry supplies - talk about practical insurance! I am convinced, beyond a shadow of doubt, that EVERYONE needs to make building a stockpile a priority - even if it's just a couple of extra tins of tomato or bags of flour. It all adds up to a wonderful safety net - with or without the zombies! I totally agree, Diane! And the longer I do it the more I realize just what an insurance it is. I'm giving away my age here but I actually started doing this in the late 1970's when it was called the Pantry Principle in a magazine on budget cooking that I bought at the time (and kept all taped together until last year :-). Through the ups and downs of life this has worked wonderfully for me. Even though we are now living in 242 square feet (on a boat) I still stockpile and find it helps keep our retirement budget intact. Start now, start small, but start is my advice. "But start..." Great advice, Sandy! And it would be fun to sit down with you and learn more about all that you've learned regarding money saving over the years. I love that you are making stockpiling work for you even though you live in super small space! We actively stockpile diapers because sales are actually worth it--sometimes. I've mentioned before we don't have cupons here and 'sales' are not usually a good deal--a few cents off for buying 2-3x's what you normally would, to be is not stockpile worthy. That said, I tend to stock up on items that I know are cheaper in a store I don't need to go to often. So if I just buy 1-2 items there, I'll buy a bunch at a time, otherwise, I just don't have time to go to that many places! You bring up a good point, Trish! Even stockpiling for the sake of saving time or gas is worth it sometimes. I do that with a local bulk food store that isn't in my usual area of driving. When I end up getting over that direction, I typically buy extra of the "staple" items that I purchase there and it has helped me out a lot! Glad you enjoyed it, Sarah! Thanks for the great tips here. Since I have gone back to work I have become much more of a "week to week" shopper. Visiting via Inspire Me Mondays! Coupons are a double edged sword imo. I mean, if it's something like Prego spaghetti sauce, then sure, I can use it...and my local store usually has them on sale for 1.50 a jar around Oct or Nov (one year they had them for a dollar a jar... I must have bought 50 jars... but when we moved, our house was broken into, and one of the things they stole, oddly enough, was my spaghetti sauce!) Otherwise, a lot of things I can buy generic or in bulk for MUCH cheaper than even with a coupon. I do need to get in the habit of going to the farmer's markets during the summer...heck, even now. I always forget or get busy. I also need to find a way to keep the lemons our trees are producing. I was thinking of juicing them and freezing the juice. The next house I definitely want more room for trees. Thanks for your input, Sarah! And you are right that coupons can easily be used in ways that actually have you spending more or buying things you don't need. The way I condone using coupons though is to only use them if the item you buy is something you need or will definitely use AND by using a coupon for it you can get it cheaper than you can the generic equivalent. I also know that what stores you shop at makes a big difference. I'm blessed to have Giant grocery stores in my area and regularly get lots of food and household items there super inexpensively (sometimes even free!) with coupons...and the majority of the food that I purchase with coupons is not processed foods either, which usually surprises people. This particular stores doubles coupons too, which helps a lot! But really, as much as I recommend using coupons, I realize too that everyone's priorities and preferences are different and so for some, it simply works better to just buy generic all the time etc. Jealous of those lemon trees! :) Fresh lemons are so yummy. And yes, I would definitely think that freezing the juice would be a good option. Now I'm thirsty for fresh squeeze lemonade! My cousin has a really nice meyer lemon tree, and they juice the lemons, put it in ice cube trays, then store the cubes in freezer bags. Whenever they need lemon juice for a recipe, they just pull out as many cubes as they need. They also just put a cube or two straight into a glass of ice tea. It works out great! Great info, please sign me up for your blog.